Man of Steel, written by David Goyer and Christopher Nolan, is a terrific story, incorporating many thought-provoking concepts. Goyer and Nolan’s film present ideas such as the greater good, evolution, “leap of faith”, and platonic thought (Forms of the Good)—which are wrapped in Biblical imagery. Their desire to re-reboot a classic will, in time, become itself a classic. I think the reason is not solely based on the ideas presented, but also in part to director Zach Snyder’s realistic approach. 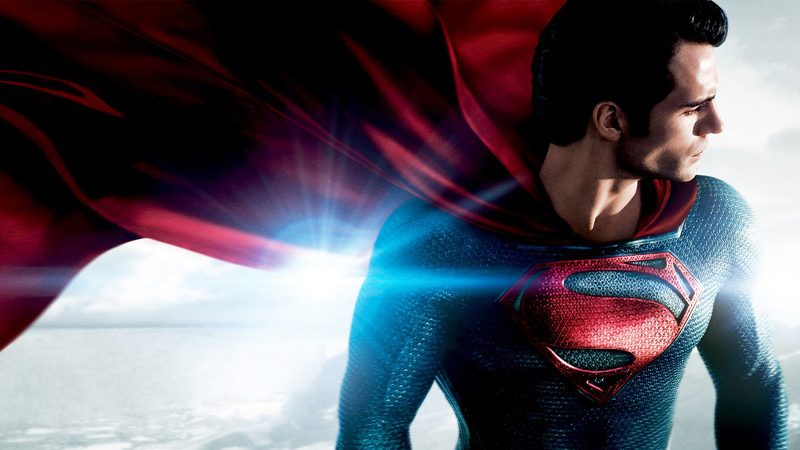 By means of the narrative and the characters in Man of Steel, the writers reveal which concepts and values they think is preferable and most viable to be lived out. Therefore, below I have given a character analysis with the major roles throughout the movie, including Zod, Faora, Kal-El, Jor-El, and Jonathan Kent. I not only analyze the concepts represented by each character, but I also critique the “livability” of each concept (i.e. which one coheres better and corresponds to reality). General Zod, the military leader of Krypton, has taken it upon himself to no longer listen to the council and wait for answers. His desire to save and protect the people of Krypton is at the forefront of his mind. In fact, he even notes this in the film that it is his purpose. 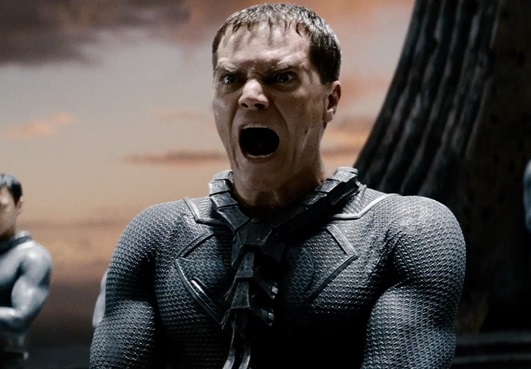 Michael Shannon, the actor who played Zod, observes that he does not see himself as a villain in the movie, but one who is bred for the job.After being sentenced to the phantom zone for his failed coup, Zod offers a rather poignant remark. Zod says, “You won’t kill us yourself but you’ll damn us to an eternity in a Black Hole!” Note that the council cannot kill. As much as I want to agree with Shannon on his statement, mostly because General Zod was bred that way (the ethical implications of tampering with child-birth can be discussed in another blog post), I cannot. If he is solely bred for protection and war, then his worldview, like Krypton, seems to collapse.Since he is bred to save the planet, he does the only thing he knows. However, he tries to save Krypton without the certain qualities others have. Thus, in his mind he feels he is doing the right thing. This mindset elevates Zod’s purpose over everyone else’s. Since he is a General, he closely resembles that of Thrasymachus’ definition of Justice in Plato’s Republic. Thraysymachus notes that “it is just to do whatever the advantage of the stronger.”If Zod tries to take control from the ruling council on Krypton and he succeeds, he “prevents them from achieving and common purpose.”In other words, what Zod wants, he gets. What Zod says, goes. There is no justice here, no happiness, and no peace or rest. Who’s greater good? Zod’s? He does say “I.” If so, then Zod cares nothing about those individuals who are under him. For if he himself kills one of his own kind (which he did during his coup) to bring about a greater good, how is that action of killing someone itself good? Moreover, would the action of killing someone actually bring about a greater good or something equal to it? Hence, Zod’s worldview becomes incoherent and certainly does not correspond with reality. One could and might observe Kal-El operating within the same idea of greater good. But I would disagree because his view of Justice is in stark contrast of Zod’s. Should we base this decision solely on the end scene with Kal-El feeling remorseful for what he did? I think not. Justice is much more complicated than that. Plato spent a good portion of his work in The Republic on defining Justice. A just person can only be just and what comes from him is Justice. Thus, if Kal-El embodies the idea of Justice then his actions would be considered just. Plato’s view of Justice would be that when anyone “does anything …that the action is just and fine that preserves this inner harmony and helps achieve it, and calls it so, and regards as wisdom and knowledge that oversees such actions.” So, knowledge is a requisite for Justice. For how can one rightly administer Justice if they do not know? Moreover, harmony can be observed as a clear sign of that which Justice has brought about. For example, when Kal-El finished Zod the end result was peace and harmony. If Zod would have killed Superman, would there have been peace? I would argue no. Because after the mass genocide that takes place on Earth, it is Zod who decides which bloodline will live on. Therefore, there is no peace even within his kind. Towards the end of the film Zod is threatening Superman with the death of a family. Superman, in order to save the family, has to do something he does not want to do. The death of Zod simply conveyed the imagery of what the writers thought of Zod’s philosophy. Superman’s response to Zod’s death is even more refreshing to see. There is a genuine remorse which comes from him in Zod’s death. This action makes this ending more appealing since it offers a sense of justice, finality, and judgment. …she basically says that his weakness is that he has morality, which they do not have, and that is why he will lose, because evolution always wins. I believe that this is probably the single most widespread idea in the hearts and minds of criminal behavior in our era. Namely, that they justify their immorality by an appeal to what they were taught in their public schools and colleges: We are mere animals and evolution means there is no moral truth that transcends power and survival of the fittest. So if that is true, then there is no justification for moral restraint. Superman is the pinnacle argument against this evolutionary religious philosophy. 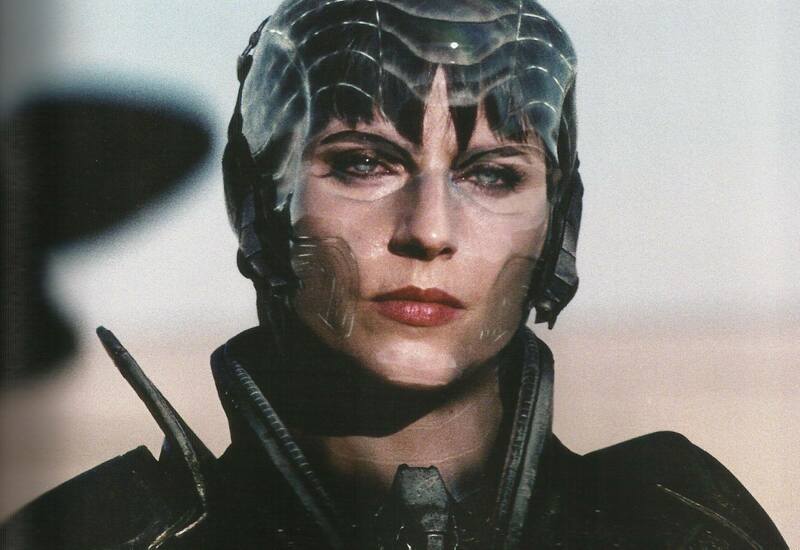 I think the fact that Faora dies communicates what the writer’s think of the evolutionary worldview. In other words, it would seem to me that the writers do not see evolution as viable view to hold to. It is amazing to hear on one side that evolution presents mankind with morality. However, the other side will observe that evolution takes morality away. Or, it could be that we have always had morality and will always continue to have it. Let me ask…who did you want to win throughout the film? Was it Superman? Or Zod? I would assume most would say Superman. Why? Is there something innate within all mankind that knows what Superman represents is right and good? If it is innate then there had to be a Creator. Clark closely resembles the Judeo/Christian worldview with obvious connections to a Messianic figure. The Village Church has made an interesting connection with some parallels to the Moses narrative. I think if this Moses connection holds true to what the writers wanted then it only adds to the depth of genius Goyer and Nolan have in writing a script. However, the obvious parallels to the biblical text are there and the imagery most closely connects Clark to the Messianic figure of the Bible, not an alien from another planet that has had deity status bestowed upon it. The alien connection has been observed before, such as the movie Thor. Of course this analogy eventually breaks down. 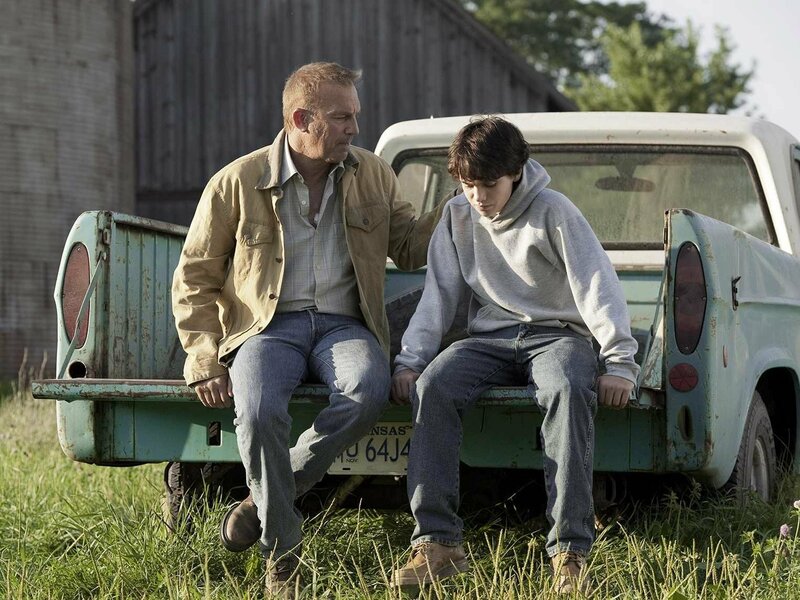 Some parallels observed between Clark/Kal-El and Christ include: Clark being a child of 2 worlds; he has 2 fathers (earthly and other worldly); Jonathan Kent is portrayed as a Joseph parallel; the giving and sending of Jor-El’s one and only son; he changes almost every earthling he comes in contact with (e.g., Pete Ross, Lois Lane, the Corporal, etc. ); Clark begins his mission to save the world at 33 years of age; the stained glass window behind Clark as he is talking to the Priest; the location presented on the stain glass window (Jesus is in the Garden of Gethsemane and the inner struggle before his crucifixion); the temptation from Zod on the space ship;in Zod’s temptation Clark wears a t-shirt with MLB team “Royals;” the cross-like pattern formed as Superman exits the space ship; and the sacrificial love he has for those on Earth and the love for his own kind. If Kal-El represents platonic ideas, then these ideas presented within the movie would have to be eternal ideas. The thing with eternal ideas is that they are, in a way, unknowable (Platonic thought). We may have a vague concept of what they are, but we truly cannot define them because we do not know. I think the writers give an amazing answer in Kal-El. Literally, in Kal-El. His DNA carries the codex for all knowledge, so to speak. Moreover, the Christian worldview provides an answer to this as well—man being made in the image of God. Because man is made in his image, some of God’s attributes are communicated to mankind (Genesis 1:26 – 27). If these are eternal ideas which are being presented in the movie—of which knowledge is needed, then an eternal Being is necessary to have these ideas ontologically within that Being to execute them in harmony. The necessary Being who closely resembles this line of thought is only the God of the Bible. This imagery of the codex placed within Kal-El connects nicely with a bigger parallel to the Bible (John 1:1 – 5). So, in the movie the people of Metropolis fittingly place their hope in that individual who lives and embodies justice—Kal-El. Jor-El notes this to Kal-El and adds, “The symbol of the House of El means hope. Embodied within that hope is the fundamental belief of the potential for every person to be a force for good.” So, if the hope is “the potential for every person to be a force for good,” then mankind would need to cherish that hope—which would only come from knowledge of the Good. But where does hope come from? Why is this desire apparent within mankind? In whom should we place hope? Alexander Pope, an English poet during the 18th Century, writes in his Essays on Man that “Hope springs eternal in the human breast; Man never is, but always to be blest:” It would seem everybody longs to be saved from something. Even Pope recognizes hope as something eternal. What is interesting to read is Nietzsche’s view of hope. He says, “Hope is the worst of evils, for it prolongs the torments of man.” He obviously has a different view of the world, but nevertheless he still has hope established ontologically within him. What better way than to have the symbol of Hope placed on the chest of the El household to communicate this ontological establishment within mankind? This innate virtue can be observed as being established within man—the imago dei or image of God (Genesis 1:26 – 27). So, if hope is eternal and lies within mankind then what is there to hope in? I think the best answer comes from the Christian worldview (Romans 8:24 – 25). Christians place their hope in an Eternal King who will one day return for His people. For that individual who may not be a Christian there lies within them a certain hope for something better. Within all people there is a Hope in being saved. That hope must be placed alongside faith and trust in something or someone who can save. In the scene where Clark visits the priest, we see Clark’s inner struggle to trust mankind. The priest offers some advice to a departing Clark saying, “Sometimes, you have to take a leap of Faith. The trust comes later.” The idea of placing faith in someone before establishing trust is understandable (i.e., using faith to fill the gaps of logic). However, the idea of “leap of faith” is not necessarily the case here. Clark demonstratively trusts Lois before he makes his decision to help mankind and places his faith in them. There are other instances that would offer reasons to Clark why trust would be offered before faith. His parents, the change in Pete Ross, the waitress at the bar, and the men on the oil rig and helicopter are among some who would provide reasons that mankind is good. Understandably, Clark never stayed around long enough to empirically verify some of their responses. But some of them he did. Nevertheless, when it comes to believing in someone or something, people want to have absolute certainty in knowledge. But should that be the case? Would not sufficient knowledge of someone or something be enough? It was for Kal-El. This idea of sufficient knowledge should be transferable to having faith in God. Hence, having sufficient knowledge of who God is, which is given in His revelation and where individuals place their trust and faith in Him, becomes presented in the Biblical narrative (Isaiah 43:10; John 4:42; 6:69; 10:38; 16:30; 19:35; 1 John 3:23; 5:1 – 4). 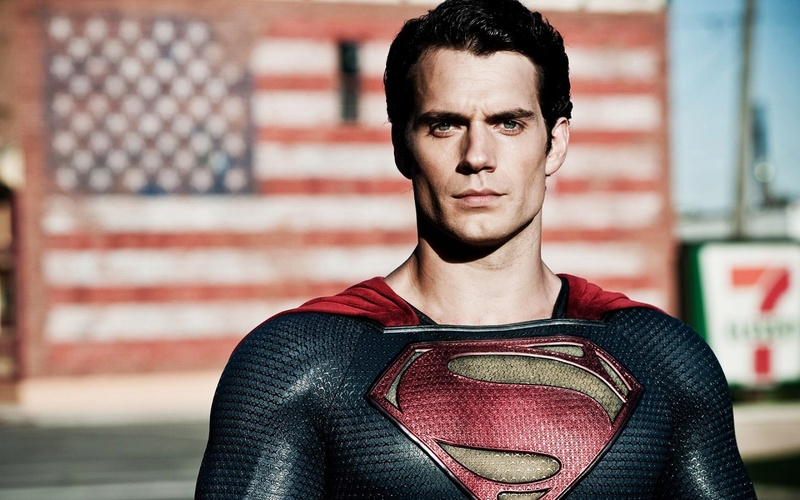 The story of Superman is so appealing. It may have been originally created to convey the story of a needed hero. The connection to Christ seems to be the most obvious. However, The Village Church sees an Old Testament tie as well. I like what Jared Musgrove, the author of The Village Church article, says of Jonathan Kent. He writes, “Jonathan struggles, as all fathers do, to protect his son, knowing eventually his young man must face the world. He seeks to impart responsibility and protection as virtue into his son—even up to the point of his own death.” I think we can add obedience to this observation as well. For example, before Jonathan was swept away by the winds of the tornado, Clark wanted to save him. When Jonathan told Clark to stay, he did. However, it seems like Jonathan instills one overarching thing within Clark, which also connects well with the Christian worldview—purpose. Without purpose there is nothing that would guide him. Jonathan places this very thought upon Clark saying, “You ARE my son. And I have to believe that you were sent here for a reason. And even if it takes the rest of your life, you owe it to yourself to find out what that reason is.” As the writers bring a desire for purpose and what that purpose is to the character, it makes the moviegoer reflect upon their own life. Is there purpose in your life? If not, then why do you exist? I guess a primary question would be “What is purpose?” I would say that purpose is something that can be determined. Unlike other theological systems which carry the understanding of purpose to a higher level (God’s Pre-determinism) than I do, I see purpose as that which I long for whether one is a Christian or not. Upon entering the Christian worldview that purpose is found and understood (Genesis 1:26; Ecclesiastes 12:13; Ephesians 2:10; 1 Corinthians 10:31; Romans 12:1). Moreover, what makes the“purpose” quote above so amazing is that Jor-El says to Kal-El what his reason is before he sends him off to Earth. He says, “You will give the people an ideal to strive towards. They will race behind you, they will stumble, they will fall. But in time, they will join you in the sun. In time, you will help them accomplish wonders.” This quote offers another stunning display, within the Biblical narrative, of who Christ is and what he does for mankind. The imagery conveyed here is one who follows hard after Christ (Matthew 13:52). Although those followers will sin, they will eventually bask in the glorification of their salvation with the Son—Jesus Christ (Philippians 3; Romans 8:16 – 24). Watching a movie and imparting Christian thought is almost inevitable. Some might perceive that ideal in which Jor-El speaks of as striving toward to be something completely separate from the Christian worldview. I strongly think the tie here is to Plato’s idea of knowledge. If the writer is coming to the understanding of knowledge as the ideal (Plato), then these ideals would be innate. The person’s ability to search for that knowledge is necessary to find that which closely resembles God—The Form of the Good. Moreover, the connection to Plato can be made for his use of the metaphor of the sun. Plato uses this metaphor in his work, The Republic, when talking about the knowledge within the soul. Jonathan Kent notes to Clark what some might claim to be alien-like language and I can understand why they would observe it to be so. Although, if someone were to be looking at this quote from the lens of the Christian worldview it would at first seem to be a breakdown in the analogy. However, that might not be necessarily the case. Kent says, “You’re the answer, son. You’re the answer to ‘are we alone in the universe.’” Is it not possible to interpret this quote to say that Christ is the answer? Additionally, if someone accepts Christ into their life then it would be the case that they are not alone anymore. The Biblical text does note several times that “[God] will never leave you nor forsake you” (Deuteronomy 31:6, 8; Joshua 1:5; Hebrews 13:5). Lastly, Jor-El does note to Kal-El, “You can save her, Kal… You can save them all.” If Kal-El represents knowledge or someone who has knowledge, then that knowledge will be able to save others once the knowledge has been made known. Gnostic thought has the dualistic idea of human nature. For them there is a physical and spiritual component. That spiritual component carries within mankind a “divine spark.” Salvation, according to the Gnostics, is available to all. The view is found to be individually subjective and the need for a mediator to bring the knowledge about is needed. The tie-in to the Christian worldview fits somewhat (John 1:1 – 18). However, the Gnostic interpretation of the word “Light,” located within the prologue of the Gospel of John, would need a good argument for its understanding. It lacks the necessary consistency in interpretation to be observed in favor for Gnostic thought. Additionally, in regard to the quote operating within a Christian worldview, Jesus Christ died for all (2 Corinthians 5:15).It is for that reason I run the race toward the prize of Christ (Acts 20:23-24; 1 Corinthians 9:23-25; 2 Timothy 4:7; Hebrews 12:1-3) One can observe the similarities between the two lines of thought and see why the movie and screenplay can be so appealing to Christians. The character analysis above offers ideas presented in the movie to provide the viewer with what the author thinks about those ideas. I have tried to show the writers’ use of some Platonic and some non-platonic ideas throughout the movie. Additionally, some parallels of Platonic thought have been shown to connect to the Christian worldview to show similarity. As those ideas are presented, I have suggested some connections to show how those ideas fit within the Christian worldview. Some of these observation’s include: Zod’s portrayal of Thrasymachus’ definition in Plato’s Republic and the utilitarian idea of the “the greater good;” Faora’s evolutionary worldview; Kal-El’s forms of Hope and Justice which lead to Plato’s The form of the Good; Kal-El’s interaction with the priests “leap of faith” idea; Jor-El and Jonathan’s push toward purpose; Jor-El’s embodiment of Gnosticism. Furthermore, some visual imagery has been observed to connect Clark to the Biblical Christ-like figure. The observations made from Plato have been further shown to fit somewhat within a Christian worldview. Some of Plato’s ideas are correct in his analysis and most Christians would agree with some of his conclusions such as Justice and Knowledge leading to the Form of the Good. However, there are other ideas presented above (the greater good, evolution, leap of faith, Gnostic thought) which may be incorporated into ones worldview—Christian or not, and have been shown to be inconsistent and incoherent. These certain qualities lie within other professions such as doctors, scientist, and philosophers. Like Godawa, thoughts of Brave New World entered my mind. 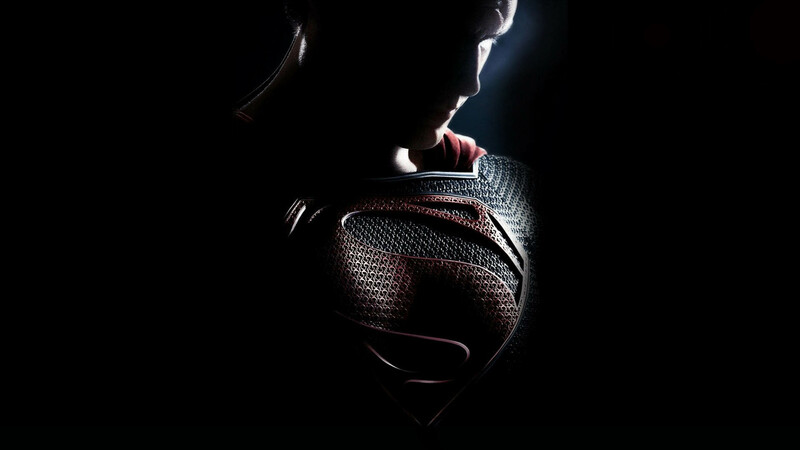 Brain Godawa, http://godawa.com/movieblog/man-of-steel-jesus-was-an-ancient-alien/ (accessed July 2, 2013). However, Plato did too. The separation brings to mind Plato’s idea of separate classes discussed. Plato would use examples of specific jobs to illustrate how virtues work. For example, a doctor can only do a doctor’s job and cannot do a warrior’s job. Likewise, a just person can only be just. C.S. Lewis, Mere Christianity, (London: HarperCollins Publisher, 2002), 25. Plato, The Republic: Book IV, 508d-509b. I personally nominate this action Superhero movie one of the best in its time, it is the same as Avatar. Please, to the movie director, please – let there be continuation of it.